If it's a hardwired alarm system, an Austel licensed cabler can remove it - or the alarm company. Hate to be the bearer of bad news, I think the DLink 2740B's just aren't good on Exetel or may just be cactus all together. I swapped over to the 2740B from an old Speedstream ADSL1 modem/router to make use of its WLAN capability combined with my iPhone. WLAN Signal's great on it, but ANY P2P activity would drag the entire home network down to a standstill (on OR off peak). I'd have to completely halt all torrent activity to browse anything. 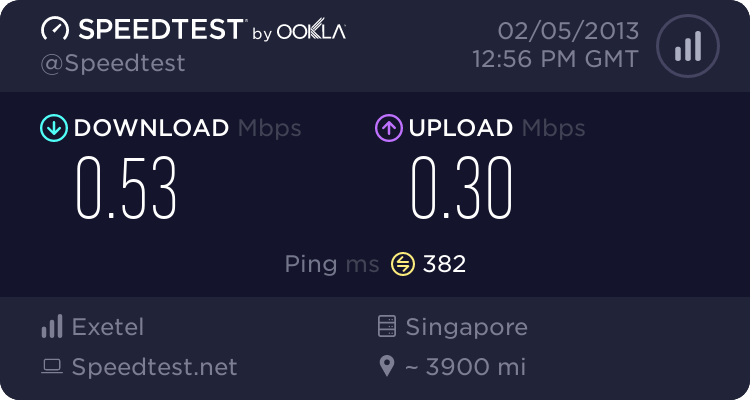 I'm about 4.5km away from my exchange, with an 8mbps line. With the 2740B would I'd sync (like you) ~2Mbps, I once sync'd at 3Mbps, but connectivity was extremely flakey, so I turned the modem off/on, resync'd at ~2mbps and was much more stable. After 2 months of dodgy performance - at first I thought Exetel was to blame - I switched over (just a few days ago) to a Billion 7300G modem/router and it is AWESOME!! I'm sync-ing at ~3.5mbps and the connection tests off the Exetel members page say utilising every bit of the line!! My recommendation - ditch the DLink! Or at least, if possible, get your hands on a different modem/router and see how your fair. In reply to "jigna" , i have recently ditched my Billion BiPac 7300G and installed D-Link 2740B and have gone from 3000 to 5000 on the 8mg plan. The Billion was forever dropping out but the D-Link has been solid for over a week now.Almost the exact opposite of your experience....weird hey! I have a super new connection and it took us 10 days and four technician visits for them to figure out that it is a new property and all they needed to do was complete the jumpering of the B line. Obviously couldn't get by with Optus 3G on the phone for 3 weeks since we moved in. Now all that is resolved until we discovered a new problem. 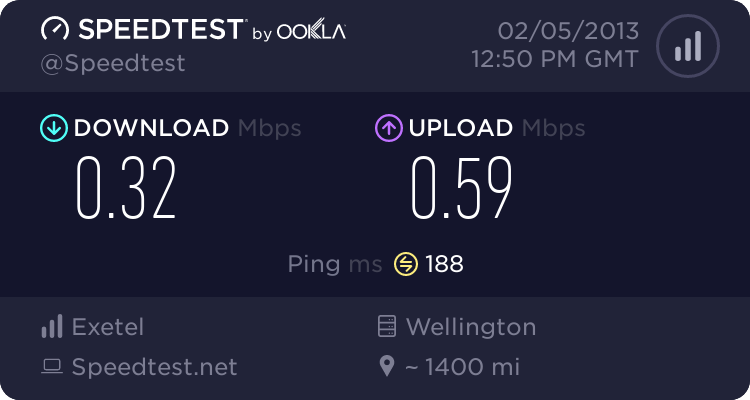 I notice that the speeds testing with domestic servers are pretty decent but drops drastically to less than 1Mpbs when pinging across the border - even if that is across the tasman or Singapore or San Francisco. Is there anything that can be done to get better speeds - i have a lot of trouble getting any streaming service to work (roku, apple tv, etc) with these speeds and I did not have this issue with Optus ADSL and cable previously. Any help will be much appreciated. With all the pain in cutting over to Exetel, i am considering running back to paying more but reliable Optus. Isn't Exetel bundling Optus anyway? I typically get between 5 & 10 Mbps if i ping Sydney. But whats the point? We have tested your connection and sent an email to your nominated contact email address. Please reply back to it so that we can proceed. Your ticket ID is 6136066. I ran the tests and it now stands at 3.28 Mbps. Phone line connected to a different port while there is no filter used for the modem. gthiagar wrote: I ran the tests and it now stands at 3.28 Mbps. We have received your test results. We will investigate further accordingly and reply you back through the same email with the next step. ChaiseC wrote: I will definatly have to try this at some point as i am only getting 4000 - 5000mbit on speedtests. Im only about 1km away from my exchange aswell.